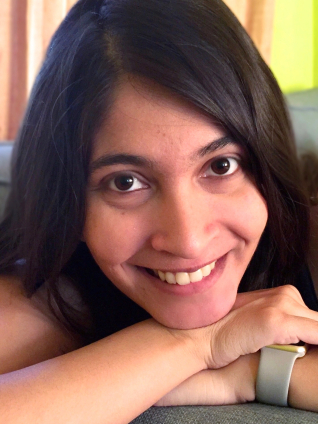 Today, I'm really excited to have Sangu Mandanna stopping by the blog to talk to us about her retelling of the Mahabharata, A Spark of White Fire. Can you tell us a little about A Spark of White Fire? What kind of a retelling of the Mahabharata is it? A Spark of White Fire is the story of Esmae, an orphaned servant who reveals herself to be the lost princess of a kingdom torn by civil war. Esmae wants nothing more than to reunite with her family and take back the crown that was stolen from her brother, but she soon discovers that things may be a little more complicated than that. Her story is very much inspired by the Mahabharata! It’s a reimagining of the original epic, set in space, with a mixture of fantasy and futuristic elements. For those of us who don’t know, can you tell us a little about the Mahabharata? The Mahabharata is one of the ancient Indian epic poems from which a lot of our mythology is drawn. It’s the story of a kingdom torn by an endless rivalry for the throne, in which the gods have a vested interest in the outcome and thousands of characters’ conflicts and histories play a part in shaping the final, cataclysmic battle. Ultimately, though, I think it’s a story about the tragedy of war and the impact it has on countless innocent lives for the sake of a few men’s ambitions. Why the Mahabharata? What drew you to this Sanskrit epic? And what inspired you to retell it? This was a story of my childhood, told to me in bits and pieces by my grandfather as I grew up, so it’s always been a part of who I am. The reason I decided to reimagine it, though, was partly so that I could give readers a new gateway to the original and partly because there was so much in the original I questioned and wondered about. What might this story have been like if more of the characters were women? What if Karna had known of his true identity from the start? What if the golden heroes weren’t quite so perfect after all? A Spark of White Fire is my way of exploring all the 'what ifs' I’ve wondered about! What do you bring to the Mahabharata story with A Spark of White Fire? More female characters, more queer and disabled characters, a lot of romance and adventure, and gods who are possibly even more interfering than in the original. Above all, while this trilogy does have a huge number of complicated characters, it’s ultimately the journey of one girl who has to find her true place in a war that’s tearing her kingdom apart. How does A Spark of White Fire differ from other retellings of the Mahabharata out there? I’m not sure there are any other space opera retellings of this epic! That said, there are so many retellings of the Mahabharata that I absolutely adore, like Samhita Arni’s The Mahabharata: A Child’s View or Chitra Divakaruni’s The Palace of Illusions, so I do think A Spark of White Fire is as much inspired by them as it is by the original. 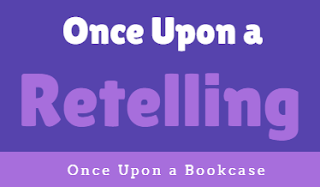 I don’t believe any retelling can exist without the influences and imaginations of all the storytellers that came before. I think the part I found most difficult was my own doubt as I wrote it. Was I good enough to reimagine a story that has so much meaning to so many millions of people? Was I doing the original justice? Would people who grew up with the mythology like I did enjoy my version? Would it be accessible to new readers? I don’t write stories lightly, because stories mean so much to me and I want them to be able to speak to readers in the same way, so I wrestled with a lot of doubt as I wrote the book. On the other hand, it was also such a joy to write these characters and to write a story inspired by my own history and culture. What do you hope readers get from A Spark of White Fire? I hope they’ll experience an incredibly emotional and exciting journey through Esmae’s world. I hope they’ll fall in love with the characters like I have. And I hope they’ll be so intrigued when they finish that they’ll go read more about the Mahabharata! A genuine love for the original source material combined with the ability to critique, understand and update it for a new audience. Are there any retellings you would recommend, either of the Mahabharata, or in general? Yes! The retellings of the Mahabharata by Samhita Arni and Chitra Divakaruni that I mentioned above are two of my favourites. I also love Julia Ember’s The Seafarer’s Kiss, which is a glorious retelling of The Little Mermaid; S. Jae-Jones’s Wintersong, which reimagines old goblin legends; Marissa Meyer’s Heartless, which tells an origin story of Lewis Carroll’s Queen of Hearts; and Neil Gaiman’s The Graveyard Book, which is a really sweet, poignant, quirky reimagining of The Jungle Book. Just that I’m so grateful to every reader who picks up A Spark of White Fire and I hope you all love Esmae as much as I do. Thank you so much, Sangu, for such an incredible interview! I hadn't heard of the Mahabharata before reading about A Spark of White Fire, but it sounds so fascinating! And I don't know about you, but I think we definitely need a hell of a lot more YA stories inspired by mythology and folklore from other cultures - but written by people from those cultures. I love the Rick Riordan Presents imprint that is doing this for middle grade, but I would love to see more stories like A Spark of White Fire in YA, and I am so excited to read this one! Be sure to visit Sangu's website, follow her on Twitter and Instagram, and check out A Spark of White Fire, which is published today, 11th September! 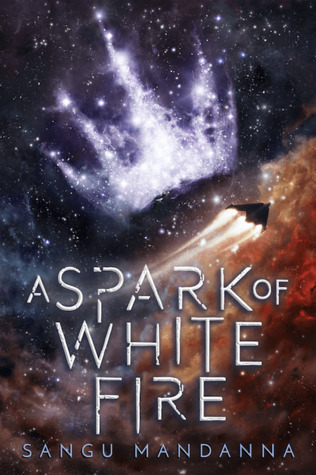 Inspired by the Mahabharata and other ancient Indian stories, A Spark of White Fire is a lush, sweeping space opera about family, curses, and the endless battle between jealousy and love. From Goodreads. I'm going to be doing the tour for this book, and I've heard great things. Can't wait to read it (soon)! Ooh, I've just bought it! It sounds so good! I hope you enjoy it!